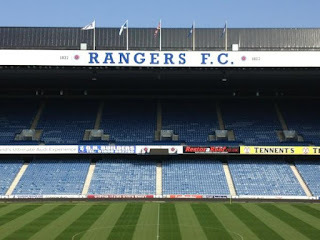 It's Derby Day in Glasgow as Rangers welcome their bitter archrivals from Parkhead to their famed Ibrox home. If Celtic win, they will claim the title on the home ground of the defending Scottish Premier League champions. 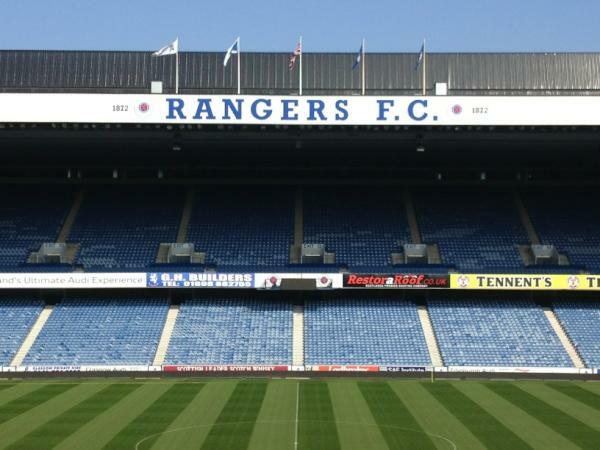 A loss would be the fourth in a row at home for Rangers, something that's never happened in the club's 140 years. In the past few weeks, some questioned whether this match would even be played as the Light Blues were faced with administration due to the mismanagement of the fabled club's funds. The subsequent ten-point penalty means the title race is all but a fait accompli. As recent as two days ago, veteran Lee McCulloch was faced by a French journalist asking him how he felt heading into what might be the last Old Firm. Having spent these last few days in Glasgow, spending time at Ibrox and the club's training ground at Murray Park, there's strong evidence that sure strides have been made to ensure the club will recover stronger than ever as it works through financial crisis. Five ownership groups have placed bids to take over, but the group to be chosen by administrators Duff & Phelps must not only be capable of eliminating the club's debt but also of reinvestment. What these prospecive owners will find as they review Rangers' operations is a passionate and dedicated staff who refine our understanding of professionalism. To say the club's facilities are first-rate would be an understatement. From the front door security to the youth trainers to the first squad and their manager Ally McCoist, everyone's generosity and sincerity has been astounding. Knowing what today's match means to all of them, their guests today face a bitter fight. Regardless of the outcome, the greater victory is to be found in all the efforts of everyone at Rangers Football Club to ensure that today won't prove a sad ending to their club's great history. This crisis will not kill the club but will instead make it stronger. On the pitch and off, everyone at the club is ready for any challenge. The match kicks off at 1:00pm in Glasgow and American soccer fans can watch the Old Firm live for the first time in over a decade at 8:00am ET on Fox Soccer Channel.